furniture :: what a wreck! Hi cool industrial furniture is welded from salvaged auto body parts, then clear-coated to preserve the oxidation and rust. He also creates bed frames, desks and armoires from the old parts but I think these tables are the jewels of his collection. They're JUST COOL! 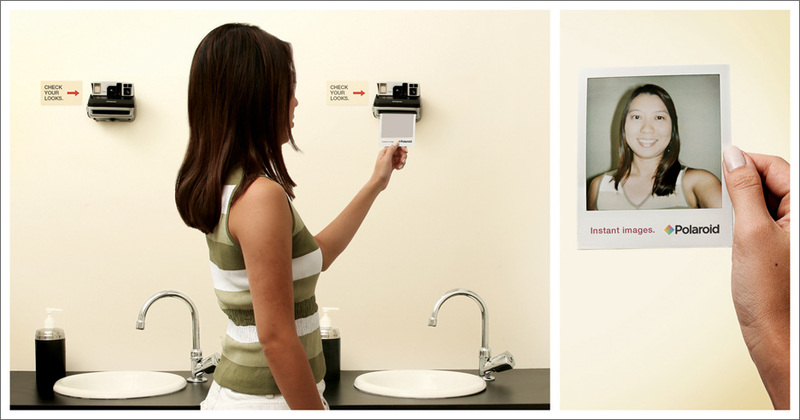 An innovative concept - Polaroid camera's replacing mirrors in mall restrooms. That was the idea in Sao Paulo. Wait - who buys polaroid film anyway? One small step for Polaroid, one giant step backward for mankind. internet :: elearning , computer training on the web! Nowadays with the internet and all it's new technology expanding so rapidly, I'm starting to feel like an ignoramus when it comes to knowing how to use everything on the computer! Sure, I know a little html, can navigate the web easily enough, but when it comes down to the nitty gritty of things like IT knowledge, desktop office and software skills I am thinking I really should be investing in some online courses so I can be up to par with the rest of the online community. K Alliance is a website that offers such training in the form of elearning - computer training videos that allow you to learn everything right from the comfort of your own home! They offer their complete computer training programs in the form of cd, intranet, or online training video courseware. Whichever option you prefer, their online courses will help you to achieve your goals thoroughly and efficiently. You learn at your own pace with topics such as IT Training, Certification Training, Desktop Office and Soft Skills and the company will work with you to customize your learning experience as well. K Alliance offers it's training programs backed up by the latest technological trends in delivery and content development, so you can rest assured that you will be receiving the latest knowledge from the most widely respected people in the IT field. I especially like the fact that you can learn when and where you want. If you have a crazy schedule like I do, elearning is great because you can easily tailor your learning program around your schedule. Check out K Alliance website for more information! travel :: a flying hotel! How's this for first class flying accomodations? It's a flying hotel called the The Hotelicopter and is modeled after the Soviet-made Mil V-12, of which there were only two prototypes ever made. I've always hated flying, with it's confined seating, cramped leg room and less than luxurious accoutrements. But who wouldn't love flying in this luxuriously appointed hotel on wings?! "The Hotelicopter features 18 sterile looking yet luxuriously-appointed rooms for adrenaline junkies seeking a truly unique and memorable travel experience. Each soundproofed room is equipped with a queen-sized bed, fine linens, a mini-bar, coffee machine, wireless internet access, and all the luxurious appointments you'd expect from a flying five star hotel. Room service is available one hour after liftoff and prior to landing." Book your flight now - The Hotelicopter is due to fly it's maiden voyage on June 26th. Price of air fare? Undisclosed. "Milk" from visualadvice in collaboration with Gabriel Lefebvre. "This project is an experiment in cardboard packaging as well as in communication. It represents the content of the product in the simplest way, both through word and image.The packaging is the same dimension as a 2 liter carton of milk." 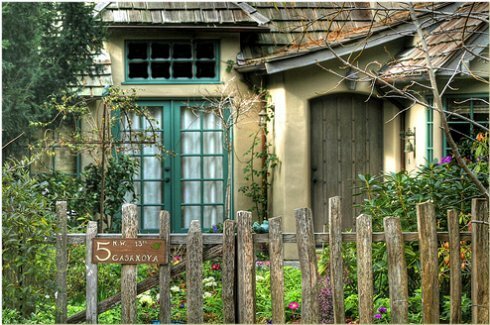 Some of my favorite houses are these utterly charming little enchanted cottages nestled in a little seaside town in California called Carmel-by-the-Sea. 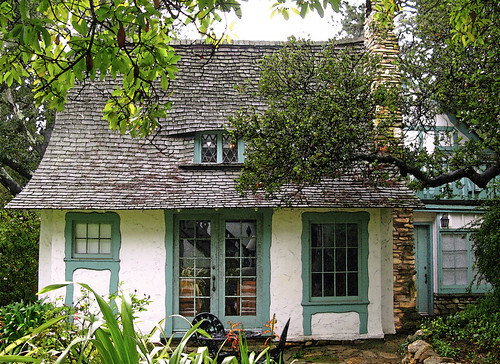 In 1924 Hugh Comstock, neither an architect nor a builder, set to build the first storybook cottage in Carmel California, a land at the edge of the world, where tall pine trees sway and white sandy beaches meet the big blue sea. 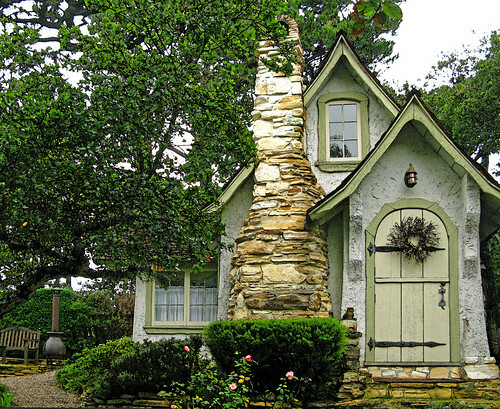 Comstock constructed the Hansel House to house his wife, Mayotta Brown's doll collection.The teeny-tiny cottage had a sloping roof of hand-cut shingles and a stone chimney that wasn't quite straight. It's walls were covered with plaster mixed with pine needles and it cost him only $100 to build. 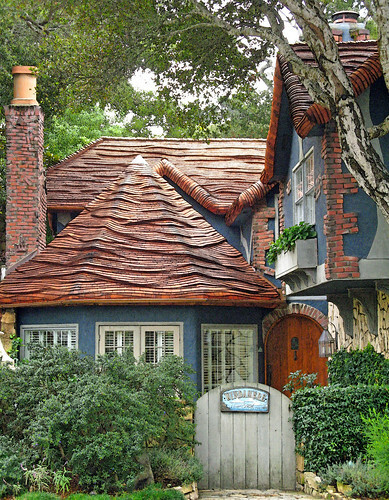 He named the house "Hansel" and soon the town caught up in the magic and charm of this little gem, followed suit, reconstructing their old facades and storefronts into enchanted fairytale architecture that celebrates the whimsy and fantasy that is Carmel-by-the-Sea today. I want one of these little doll houses, don't you?? They're JUST COOL! It's not too early to be thinking about Mother's Day and Father's Day. 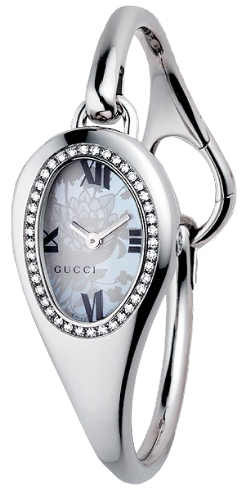 And what perfect gift to give those special people in your life then a watch. Well I just found the best watch dealer on the internet! BlueDial has thousands of watches and in every brand imaginable from seiko watches, Movado, Fossil, ESQ, Gucci, Citizen, Casio, Bulova, Sartego, Pulsar, Jules Jorgenson to Diesel, Wenger and Tissot and they sell them for up to 70% off retail! They are a reputable dealer, also offering Free 2nd Day Shipping (48 states), and free sizing. And they only sell 100% brand new, authentic and genuine watches, NEVER used, previously owned, replica, or imitation like some companies you may come across. If you're thinking of purchasing a watch, don't waste time searching the web - you'll find everything you need right here at BlueDial.com. Take a closer look. These super sized portraits are unusual in that they are made entirely of bottlecaps! Molly B. Right's bottle cap series began with portraits of Jesus and his mother Mary but soon expanded to include a host of iconic women who evoke an ethereal presence and an earthy grit. In the artist's statement Molly writes, "This series of bottle cap pieces evolved from musings about the phrase “Jesus Saves”. Saves what? Does he just save souls? If he had the time or inclination, would he save string? Rubber bands? Would Jesus save bottle caps? Yeah. Somehow that became a full size bottle cap portrait of Jesus. Funny how one notion morphs into another. Now I’m doing bottle cap portraits of archetypal women that don’t have anything to do with Jesus saving anything. Now I’m the one who is saving bottle caps." Bottle cap paintings - their unusual and JUST COOL! I'm on the hunt for a new mattress. But not just any mattress. It has to be a custom order because it's for the antique three quarter bed in my guest room. 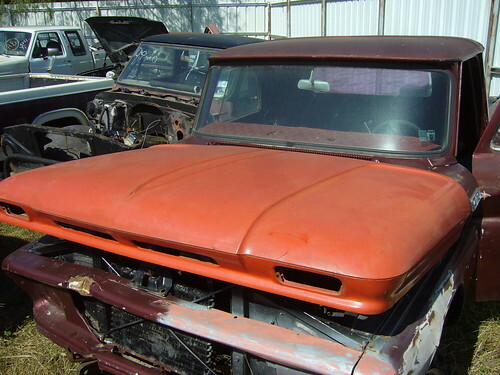 Three quarter is tough to find because it was a common size in the old days and companies no longer make it. I don't know why either because I really like this size. For a single sleeping person it's just perfect! Wider then a single bed, so you don't fall off and narrower then a full size (double) bed so you don't get lost in the middle. So I've been searching the internet for this special sized mattress and wouldn't you know I cannot find one! Instead I came across this great website called Time4Sleep, that has a HUMUNGOUS selection of beds and mattresses. From Wooden Beds and Rattan Beds to Metal Beds and every type of bed in between, they have something for everyone. And the good thing is their beds and mattresses are priced at up to 45% off retail! Hmmm...perhaps instead of getting a 3/4 mattress, I should just get a standard full size bed for the guest room. This website, Time4sleep, has quite a few I liked! 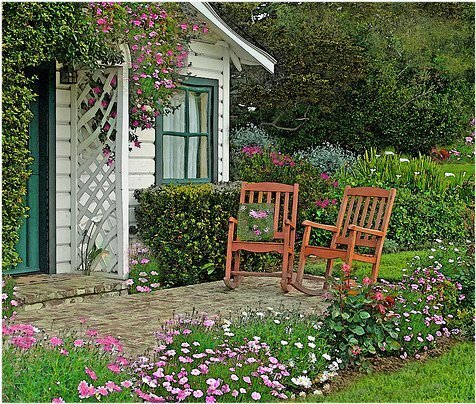 Their French Style Beds have two I like in particular, The Marseille bed and the French Rattan. They both have that touch of timeless elegance that I like and would look perfect in the guest room! Then there were the upholstered and the leather beds. Now I'm undecided...so much to choose from! Check out the website - which beds are your favs?? Twitter cookies - too pretty to eat! I was a little disappointed when I found that these little pretties aren't called Twitter cookies. But that certainly doesn't take away from their total cuteness and sweet edibility. Find these Bird Sanctuary cookies as well as other pretty novelty cookies over at Eleni's . They're JUST COOL! on the web :: I've been twitterized! I heard about twitter a few years ago and promised myself I would never lower myself to twitterer status ( that of twittering about every little thing that goes on in ones life). What a waste of time, how lame, why would any person in his right mind want to spill the beans to people he doesnt even know? Well... I was wrong - against my better judgement I twittered. This week I gave in and started tweeting, twitting, twitterating - whatever you want to call it - and boy is it fun! I've discovered it's fun to let the world know about all the mundanities in my life, like clogged vacuum cleaners, it's fun to have people follow my tweets and it's fun to follow others as well. It's like a whole new world has opened to me. I think I'll be closing the door on my facebook now - it just doesn't hold a candle to the twittersphere. Watch this cute video that explains it all. In the meantime I'll just go over to my twitter and tweet about this post and trying to get my vacuum cleaner unclogged. still. Have you heard about Earth Hour? It's buzz is all over the internet, and for good reason. On March 28, 2009 -yup that's this Saturday - for one hour, 8:30 PM - 9:30 PM, millions of people of all ages, from all nationalities, races and backgrounds have the opportunity to use their light switch as their vote. Switching off their lights is a vote for Earth and leaving them on is a vote for global warming.The switch off happened in 2007, and in 2008, but this year, Earth Hour has been transformed into the world’s first global election, between Earth and global warming. WWF are urging the world to VOTE EARTH and reach for the light switch and the target of 1 billion votes, which will be presented to world leaders at the Global Climate Change Conference in Copenhagen 2009. This meeting will determine official government policies to take action against global warming, which will replace the Kyoto Protocol and the chance for the people around the world to make their voice heard. So watch the video and spread the word and don't forget! TURN OFF THOSE LIGHTS! Let your voice be heard in the dark - it's JUST COOL! pets :: is this your dog??? If not, what kind do you have? needing inspiration for more dog art! The coolest waves of all aren't found in the sea but are sweeping and swirling along the border of Arizona and Utah in a stunning 190 million year old rock formation called "The Wave". This unbelievable sand dune turned striped mammoth rock sculpture is accessible only by foot and permit. It's a three mile walk into this surreal landscape of swirling drama and from the looks of these spectacular photos, well worth the hike! catching these waves is definitely JUST COOL!